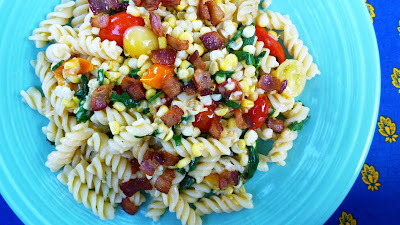 For dinner this past Sunday I made a quick and simple pasta that featured corn, cherry tomatoes, bacon and arugula. At the time I wasn't thinking about a blog post (I post so many pasta recipes)...I was just thinking about dinner. But as has occasionally happened before, it was so good I wanted to share it. I hope everyone will forgive the consequent lack of "in process" photos. I have posted this particular, spare combination of flavors before (in a salad with corn cakes). 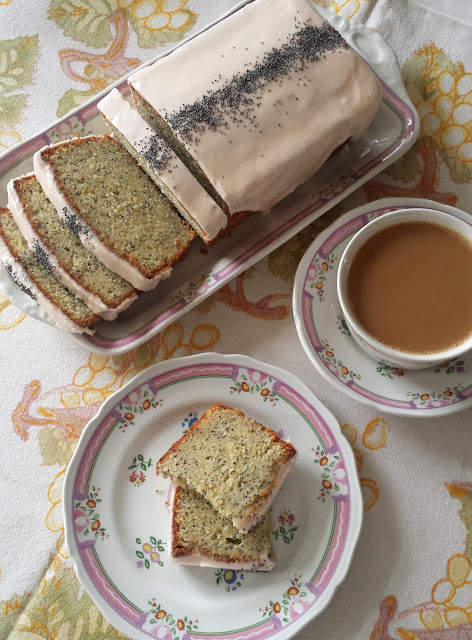 It is a favorite of mine....the interplay of sweet, tart and salty...is somehow just right. The accent of the slightly bitter and mildly hot arugula provides the perfect finishing note. 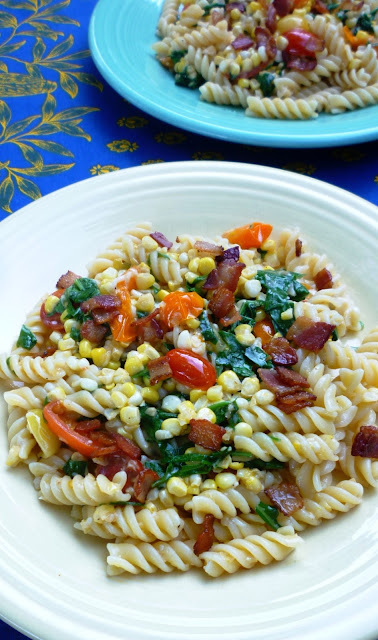 Because it is made up of ingredients you are likely to have on hand during the summer months (if you shop at your farmers' market...or are a member of a CSA)...and it is fast and easy to make...it's a pasta you can enjoy all summer long. Unfortunately this summer is now rapidly drawing to a close and the days of sweet corn and sun ripened cherry tomatoes are numbered. If you love these flavors, you should take the opportunity to sample this dish right now. Render the bacon in a large sauté pan set over medium heat. When the bacon is crisp, remove to a plate, leaving the rendered fat in the pan. Add the corn, along with a good pinch of salt, to the pan and sauté until just tender. If the pan seems dry, add a couple of teaspoons...or more, depending on the fattiness of the bacon...of butter. When the corn is tender, add the cherry tomatoes to the pan and toss to combine and warm through. Turn off the heat and keep warm while you cook the pasta. Drop the pasta into 6 quarts of rapidly boiling water seasoned with about 2 Tablespoons of salt. Stir and cook until the pasta is al dente. Drain the pasta, reserving some of the pasta water. 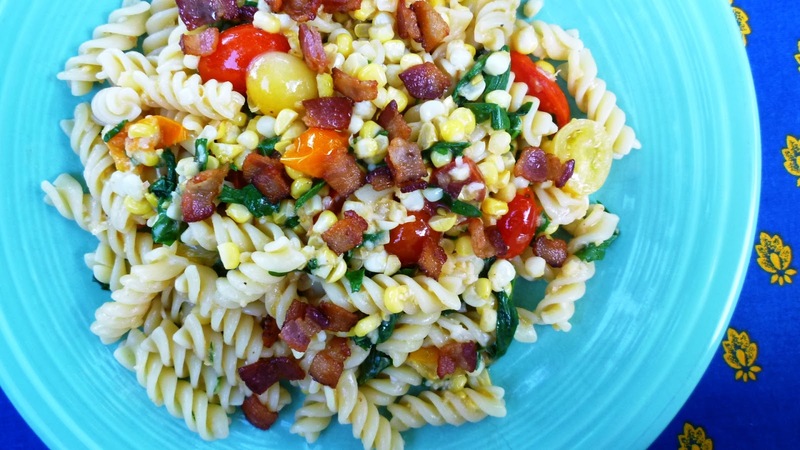 Add the pasta to the pan of corn, along with the arugula, a half cup of the pasta water and 2 T. of butter. Toss until the arugula is wilted and the butter has emulsified into the pasta water, creating a light, fluid sauce. If the dish seems dry, add more pasta water, and/or butter. Taste and correct the seasoning with salt and pepper. Toss in the cheese. Divide the pasta among four plates and top with the reserved bacon. Serve immediately. Serves 4.